Could we just forget for a moment that we are all going to have to build driftwood huts on the beach or live in abandoned boxcars on the plains or find a high branch in the forest…could we just forget the financial meltdown for a minute? 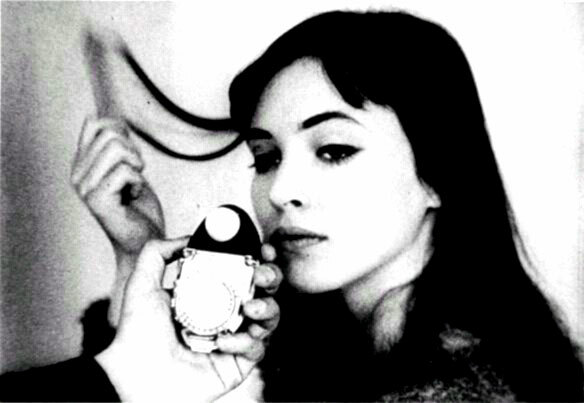 I’d rather think about that Danish kid Anna Karina — 68 years old today. Her face was an icon of sixties beauty and is still an icon to the characters in my novel who regularly reference her. And still an icon to me. Look at Anna play this scene from the Jean-Luc Godard’s essential film from the urban proto-hippie canon, Vivre Sa Vie (1962). If you weren’t there to see it for yourself, it might help you understand the sixties aren’t quite what you thought they were. Or maybe not. Happy birthday, you groovy Danish French chick. Do you ever use rating systems for movies? The kind that Netflix and Yahoo Movies use? People rate movies they’ve seen and then it spits out its prediction if you’ll like a movie you haven’t seen. The two systems are vastly different. Yahoo asks you to rate a movie from A+ (Oscar-Worthy) to F (All-time Worst), while Netflix’s system rates from 5 (Loved It) to 1 (Hated It). See the difference? Yahoo asks you to be a movie critic, while Netflix just wants your emotional reaction. Don’t worry about the acting, camera work, or script. Did it grab you? Or did it make you feel ill? In my experience, the Netflix system is phenomenally accurate, while Yahoo’s is iffy. For instance, there’s a movie out called Giant Monster Attacks New York! Yahoo thinks “I’ll Probably Like This Movie” whereas I can categorically state I Would Hate That Movie. And further, the chances of me spending nine bucks to watch a giant monster attack New York yet again are few to non-existent. Giant monsters bore me after ten seconds. I can’t help it. It’s the way I was made. You got a problem with that? Go see Al Pacino. Netflix won’t comment. Not enough data in from people who share my predilections. And no wonder. But Netflix said I would LOVE a groaning old classic called Children of Paradise, made in France during the Nazi occupation. At this point, I figure Netflix is trustworthy so I ordered it from the downtown library. It arrived on two ancient videocassettes. Well, Patrushka and I flipped! Finally, a real movie about people who are bigger than normal people, who feel more joy and more sorrow and suffer more but with great actorliness. A whole unknown world of mid-nineteenth century theater and crooks, a great mime and a super-villain wannabe and a beautiful but doomed courtesan and…well, we both flipped, okay? You got a problem with that? You like giant monsters, I like Balzac. Netflix doesn’t care. Just tell ’em what you liked already. The one thing I have to stop doing is listening to critics. They mostly come from the desensitized generation, the young ones who have some kind of skin over their eyes I don’t have. I went to see There Will Be Blood because the critics shouted Yippee, Finest Film Of The Decade If Not All Time! and it won fifty-eight awards and it was about oil scandals in LA in the 1920s (like Chinatown, or so I thought)…but I came out ready to commit suicide. It is one of the bleakest, most unrelenting views of disintegrating human hearts and minds I’ve seen. In fact, every character in the film with the exception of the little kid victim, is a hypocrite, a power-grabber, a fool or a fraud. In its universe, love is a laugh. So ‘Ugliest” would be a good award category for it if the Academy would start one, please. There isn’t even any humor to give us a few moments of respite. Just straight over the cliff for one hundred and fifty-eight minutes. I finally went and sat in the lobby until my pals came out. So I missed the part at the end where the hero bashes in the skull of the hypocritical preacher. On the Yahoo system I would have to give that movie a B+ (Memorable). The acting and camera work and all that baloney were fine. But on Netflix I gave it a ringing ONE (Hated It!) because, guess why…I hated it! Wouldn’t it be handy to have a Netflix recommendation system for music, books, refrigerators, cute little kitties, and prospective spouses? I think so. No more guesswork! Where are the algorithmic visionaries when we need them? We’d never again have to suffer through cruel refrigerators and hypocritical thermos-bottles. We’d be on the Road to Utopia. Which was a very funny movie starring Bob Hope, Bing Crosby, and Dorothy Lamour. Don’t worry, you can trust me. I’m not now and never have been a movie critic. I’m thinking about changing the name of my Walrus character. It’s starting not to feel right to me any more. What if later on the guy falls in love with a beautiful hippie chick? Can you imagine his girl friend saying , “Oh Walrus, I love you!” I can’t. It sounds silly. Still, he should have a street name, not a real name. Something fitting for a guy who doesn’t want it to get around that his real name is Chauncey. Who is trying to build a little romance and drama into his young life. On a completely different subject, Patrushka and I saw La Vie En Rose last night, a biopic about the life of French singer Edith Piaf. It’s really quite an amazing movie, an onslaught of power and emotion that captures and reflects the star’s truly melodramatic life, — complex, innovative, yet totally appropriate film editing, a sound track that electrified my nervous system, and art direction – the film is played out in a succession of perfectly realized pictures of Paris in the twenties and thirties, New York in the forties, and Hollywood in the fifties – that’s a sumptuous visual treat. Marion Cotillard’s performance as the Little Sparrow is astounding. I have really never seen anything on film to match her breadth and range – she portrays Edith from sixteen-year old street singer to a terminally weary middle-aged invalid dying of cancer. And she captures each phase of that unhappy life with such passion – it’s like Piaf herself is alive again. If she doesn’t win an Oscar for her performance, then there is no justice. We walked out of the theater afterwards like we’d just seen Romeo and Juliet for the first time. I stopped to thank the manager of our little art house for bringing it to little Spokane – but I found my voice breaking. I was overwhelmed. It will probably be good on DVD too – but seeing it on the big screen was — wow! If La Vie En Rose playing anywhere near you, don’t miss it. I will never, ever forget walking out of the Larkin Theater into the rain after seeing the Zefferelli Romeo and Juliet. My date and I were stunned. We couldn’t speak. Our fellow moviegoers stumbled out at the steady, slow pace of people who’ve heard some ghastly news about their loved ones’ sudden and untimely demise. There was no after movie chitchat – just stunned silence. Yet, when they saw us, the people jammed outside waiting for the next show didn’t start running the other way. They could hardly wait to get in and eat some of that stuff we just ate. And that movie remains one of the high points of my Sixties movie-going experiences, right up there with that other full-bore tragedy, Bonnie and Clyde, where Warren Beatty and Faye Dunaway and Michael J. Pollard, a trio that we’ve grown to care a whole lot about, go down in a shocking and unforgettable blaze of machine gun fire as the credits roll. Aristotle, before he married Jackie O. and settled down, used to say that watching fictional characters we cared about go down in a blaze of gunfire made us feel better. We were ‘purged’ of a lot of emotional crap that was building up inside us and left us free to build up some new crap. The whole world wept. People in New York crowded at the docks waiting for the next ship from London. Before it even docked, they shouted at the sailors, “Is Little Nell alive? Say she is!” But of course she wasn’t. The whole city went home in stunned, cathartic silence, and stared at the embers of their little fires. But then they thought it might be nice to roast a bit of cheese. And perhaps a wiener. Because, all in all, it was Little Nell in a book who died. And their own little Nell was sitting right beside them enjoying the fire. I’m going to make sure Walrus, Sylvie and Paulie lose, lose, lose. If Sylvie gets shot down at the end, it’ll be her own darned fault – I want nothing to do with it. What was Allen Price’s reason to live on, way back when he wrote that song? 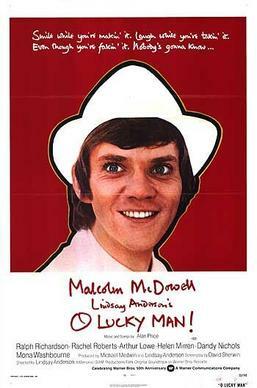 Maybe he was seeing his career going nowhere and he hoped creating a soundtrack for a Lindsay Anderson movie (O Lucky Man) would put him on the map again. I don’t know and he ain’t talking. But actually I want to know if you have a purpose in life and, if so, what is it and why is it? I was reading an old prayer the other day and this phrase struck me as it possibly will you: “in all I do direct me to the fulfilling of your purpose…”. I think the idea is that somehow we’ll be more connected, more in a state of rightness, feel more one with the Force (somebody help me here – I’m floundering) when we let God use us for whatever he has in mind rather than working only to meet our goal of, say, financial independence, a Ferrari, and membership in the exclusive country club on the edge of town by age 40. When I was a salaryman, I didn’t think about my purpose too much. I knew what it was – to go to my stupid job for one more day, and earn my salary for another month so I could pay the mortgage and insurance and taxes and car payments and the kids’ music lessons. I didn’t feel a bit connected with Eternal Oneness — I was just doing what I had to do. So what else is new? Now I’m old and rich. I sit in my exclusive award-winning pigsty at the tippy-top of South Hill looking down on my extensive grounds with their graveled paths and fountains and rose gardens and I have to ask myself – now what? What is my purpose in life? Most folks don’t have that option, but some of us do. I was wondering if ‘following your bliss’ is the same thing as ‘fulfilling Your purpose’ in the prayer I quoted. Is feeling right about what you’re doing a kind of litmus test? To go a step further, if you love doing something and feel you’re where you’re supposed to be when you’re doing it and just want to do it more – just for the thing itself and not for any kudos or toys that might come of it – is that a sign that you’re not only fulfilling your purpose – but also God’s purpose for you? In the past, I’ve usually heard explainers say that ‘fulfilling God’s purpose’ meant not thinking about yourself but only about fulfilling God’s plan, which to them meant you should be a missionary or plant a church in the next town or teach Sunday School or something in the religious line. But that doesn’t seem right to me. It’s imposing very severe limits on God’s plan! If you do all that stuff but don’t enjoy it and aren’t very good at it and wish night would come – maybe it’s because God always thought you’d be perfect for schmoozing with people down at the flea market or fixing their cars for them. Or even playing video games, if you are passionate about it. One thing leads to another you know. I don’t do film reviews. There’s already enough guys out there peddling important opinions. But I do do recommendations if they fit into the general theme of the Pigsty. What? You didn’t know there was a theme? First – Amazing Grace, which Patrushka and I saw yesterday. An amazing, powerful film about William Wilberforce, who fought the British parliament for thirty years to outlaw slavery. He didn’t give up for thirty years and he WON! It’s the story of how he did it. OK, it’s marred by a corny subplot about a nice old couple who are trying to fix him up with raving red haired beauty Romola Garai. And I don’t like the marketing campaign which is trying to make it into a Christian movie. It’s not. It’s a movie about a guy who is a Christian. The movie’s about standing up to fight to end slavery against all odds – and winning. I came out inspired, revved up – thinking I’ll never give up either! If its playing in your town, go see it and then check in, okay? Highly Recommended. Second is The Lives of Others. A German film about a little man, a functionary in the East German secret police, who grows up into a big man at the cost of his career. It ain’t pretty – but it’s beautiful. Emotionally exhausting. I staggered out of the theater completely drained. Had to hie to Starbuck’s and sit in a stupor till the caffeine kicked in. After seeing it, I thought, “Thank God for Glasnost. Man, the world really did change for the better.” Highly recommended. And hurray for AMC Theaters, who brings movies like this to a parochial burg like Spokane! I had to go to my doctor. “Hmmm,” says he, “anything else? “Well, fart jokes don’t make me laugh. Like in Shrek, which was supposed to be so funny. Seemed like the high point was when the ogres farted. I just sat there and waited for it to be over. What’s wrong with me?”. “?????? ?,” I thought, like they do in comic strips. Since his advice cost so much, I figured I’d at least try it, so I went down to my local library and checked out The Gold Rush, Chaplin’s 1925 hit starring a bunch of people I’d never heard of, like Mack Swain and Georgia Hale. Actually, I had to special order it from the big library downtown. But, I have to tell you, within one minute, as soon as the bear fell into line behind the Little Fellow as he danced along the precipice path, I started laughing uncontrollably. And I really didn’t stop for the next 95 minutes. I fell off the couch. I hurt my bottom. Even my cat was laughing. People started peering in through the front window to see what was going on. Then they started laughing too so I had to let them in. I mean it was snowing outside. Patrushka had to get up and make popcorn. And we all watched it over and over all night, screeching with joy. The Gold Rush is so funny, and so sweet, and so endearing, and the DVD is so clear and crisp. I couldn’t bear to leave. I had to stay and watch it over even though I was in my own living room and everybody finally went home. So I started holding my own private Charlie Chaplin Film Festival/Block Party. We watched Modern Times which I immediately had to watch again and it was even better the second time as I got into the rhythm of it, and I have The Great Dictator ready to go for our next movie night. All from the the Spokane Public Library, which I hereby thank for providing my medicine free of charge. Hooray for Charlie Chaplin! Finally, I’m laughing again at something besides my own thoughts.